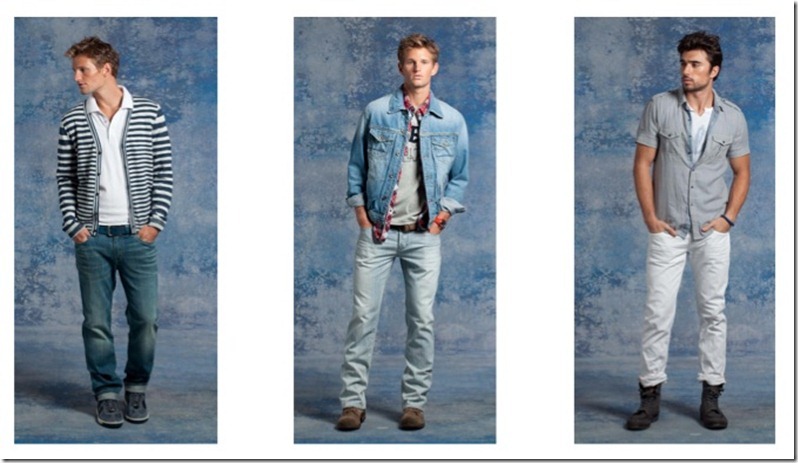 Cape Heritage : Cape Heritage takes fashion cues from classic vintage Americana themes. The collection mixes casual wear with soft tailored contemporary pieces. Worn and over-washed fabrics take the stage when it comes to knits and denim giving an overall relaxed vibe to the delivery. Brave New World : Brave New World introduces a combination of coastal and urban influences. Worn in and vintage age washes round out the collection . Chambray fabrics have been used both in shirtings and bottoms. Double denim (denim top and bottom) are being supported in the collection indicating its continuance as a denim trend for the next couple of seasons. Denim shorts for men are a major part of the collection. Vintage and dark washes continue in all their glory.